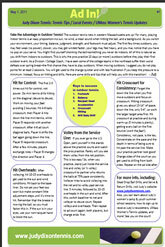 Judy Dixon's Newsletter - Ad In! newsletters covering Judy's tennis pointers, UMass Tennis Team updates, tennis camp and clinic info., local and national tennis news, and more. 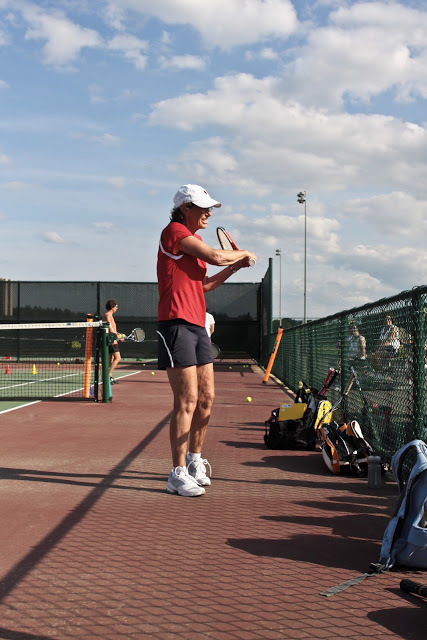 Judy shares with you her expertise on strokes, strategy, and the mental aspects of tennis based on 40+ years of tennis playing and coaching. Visit the Tennis Tips page and the newsletter archives to read about service placement, supporting your doubles' partner, and more! Check back soon for video instruction! Coach in the Mirror allows players to view their strokes in a real time comparison to instructional videos. Check out the many strokes that are demonstrated with this new technology that allows you to improve while at home! Visit Judy's favorite tennis-related links.